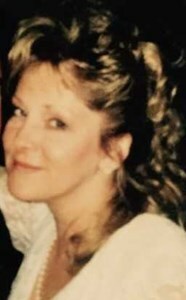 Newcomer Family Obituaries - Theresa Ann (Lovely) Hapner 1962 - 2019 - Newcomer Cremations, Funerals & Receptions. Theresa Ann (Lovely) Hapner, age 56 of Wilmington, Ohio, passed away Monday, February 4, 2019. She was born December 2, 1962 in Dayton, Ohio the daughter of Eugene and Yvonne Lovely. In addition to her father, she was preceded in death by her son, Danny Ray Stone. Theresa was a beautiful woman that absolutely adored her family and friends. She was a wonderful wife, mother, grandmother, daughter and sister. She was a giving person with a huge heart who was always there to help anyone in need and put others before herself. Theresa will be missed by her loving husband who has known her for over 40 years, Jeffrey; mother, Yvonne Lovely; sons, Thomas Bradley (Sarah) Hapner, Chadwick Joseph (Stephanie) Hapner, Tyler Jeffrey Hapner, Jr. (Caylee); grandchildren, Brooke Renee Stone, Bryson Elliott Parsons and Gracelyn Danielle Hapner; siblings, Larry Lovely, Vickie Lovely, Jeanetta Angus and Danny Bantz; aunt, Delta Bantz; nieces, Amanda Angus and Kay Sims; best friend, Christine McVicar; and other aunts, uncles, nieces, nephews cousins and friends. Family will receive friends Friday, February 15, 2019 from 5-8 p.m. at Newcomer North Chapel, 4104 Needmore Rd., Dayton, Ohio, where the funeral service will be held at 10 a.m. Saturday, February 16, 2019. Interment Miami Valley Memory Gardens. Contributions may be made in Theresa's memory to the Stefanie Spielman Fund for Breast Cancer Research. To share a memory of Theresa or leave a special message for her family, please click the Share Memories button above. Add your memories to the guest book of Theresa (Lovely) Hapner. Jeff, Von, & family, We- Sue & I are VERY, VERY sorry for your loss of a beautiful, kind And wonderful person. There was no question if you needed anything or help on in project Theresa was first in line to help. We remember the many wonderful things she did for Danny & Jeanetta and family. The world is a smaller place because of her not being in it but God has a special place for her and ALL others that follow his calling. So very sorry for you loss. Please accept my deepest condolences. So sorry Jeff for your loss?? I’m am so sorry for your loss. It has been many years since I have seen Theresa. She was a beautiful kind girl. My aunt Cletis. I don't even no where to begin. There are no words to express how I felt about Theresa. She was more than my aunt , she was one of my best friends. She had the biggest heart and always made sure all the kids weren't left out and had everything they needed. She was so giving, always reaching in her closet to get gifts she bought for everyone. I will miss our shopping trips. She would make us shop till I felt my arms falling off. I will miss her getting competive when we played cards. I will miss her saying funny things like dilto. Her sticking her tongue out at us. I will miss gathering at her house and going swimming. I will miss watching horror movies with her like Sleepwalkers. One of my favorite memories is when we went to see the proposal at the theater and we were all laughing so hard and she chocked on her popcorn. I will miss her hollering Tyler's name whenever he was pulling one of his pranks. She called Haley her monkey. Brooke her peep. Kay her turtle and me her cletis. She was so loved by so many. I will miss the holidays and her yelling at me for putting water in the green beans or not making the mashed potatoes right. She would call me on the phone and if I didn't answer she would keep calling till I did. Most of all, I will simply miss her for all that she was. This world is a darker place without her. She will always be an angel looking out for us. I know that she is with my Dad, Danny Ray, Jamie and Pam. She has her work cut out for her keeping those guys out of trouble. I love you Theresa!!! You will always be a part of me. Sorry to hear this my mother Edna Fay is a first cousin to Yvonne !!! Wow...where do I begin. Too many wonderful memories of my dear friend. Theresa and I grew up together, met in kindergarten and never lost track of each other even when she was away in Tennessee , Texas and few other places. Theresa and I shared a great love for her son/my nephew Danny Ray. We grew up drinking pepsi from the 16oz bottles and eating chips for dinner at times, even though she made some good homemade hush puppies. Had constant sleep overs even during school nights and loved being out for snow days. Friday/Saturdays were our roller skating nights. Which turned into the disco's when we got a little older. We had a blast, putting on make up and separating our eyelashes with a straight pin so they looked longer. Theresa and I went to church together growing up, we were baptized at the same time. We knew we wanted to be ready one day for Jesus. We have went through good/bad but I have to say for my heart this is the worst. I know I have peace that you are in heaven rejoicing but I want you to be with me a little longer. I pray that God will comfort and bless Jeff and Tyler each day - love you both. You will always be my best friend and sister in heart! Special thoughts coming to your family from Kay’s Aunt Nancy. Thinking of you Tyler, Mandy, Kay and the rest of your family. Stay strong.